The Sunday Times Property Price Guide says prices in some areas could rise by up to 20% in 2018. PROPERTY IN SOME parts of the country could rise by as much as 20% over the course of this year, according to a new price guide due to be published this weekend. The Sunday Times Property Price Guide for 2018 will be published tomorrow and aims to provide an overview of the current state of the market in the country. The guide states that property prices will rise by an average of 8% over the entire country and that almost all areas will see some increase. The guide predicts across-the-board increases, except in Donegal where price falls are being predicted due to Brexit impacting on the number of buyers from across the border. The guide states that Dublin estate agents are predicting price increases in capital of between 5-10% with some postcodes such as Dublin 4 and Dublin 12 could see price values rise by as much 15%. A lack of supply is contributing to the steady increases in prices but the guide points to Dublin developments in Boland’s Quay, the old Cuckoo’s Nest pub site in Dublin 24 and Ardilaun Court in Raheny. 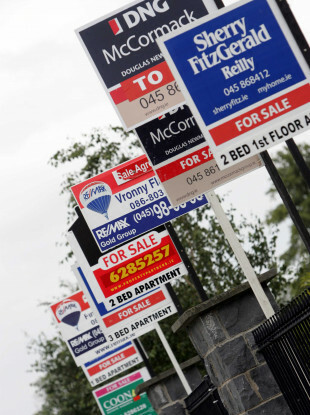 In Cork, property price increases are expected to rise by between 8-10% while house prices in Limerick city’s suburbs could rise by as much as 20% in 2018. In Galway, a jump of 15% is being predicted over 2018 in Salthill and in the city with increases of 8% elsewhere in the county. The price guide is compiled based on interviews, current prices and analysis of trends. Email “A new report is predicting house prices to keep rising over the next 12 months”. Feedback on “A new report is predicting house prices to keep rising over the next 12 months”.